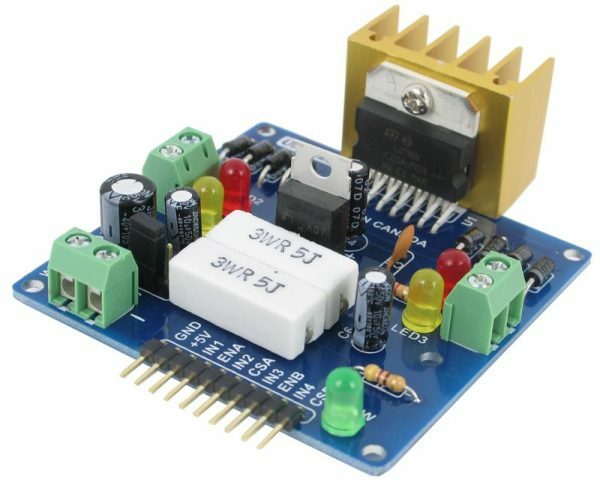 This fully assembled dual bidirectional motor driver is based on the very popular L298 Dual H-Bridge Motor Driver Integrated Circuit. The circuit will allow you to easily and independently control two motors of up to 2A each in both directions. 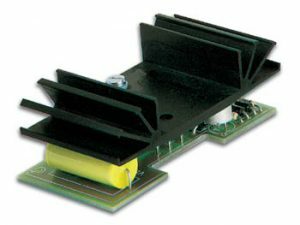 It is ideal for robotic applications and well suited for connection to a microcontroller requiring just a couple of control lines per motor. It can also be interfaced with simple manual switches, TTL logic gates, relays, etc. 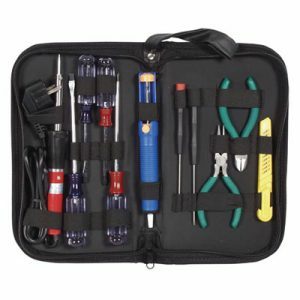 The circuit incorporates 4 direction LEDs (2 per motor), a heat sink, screw-terminals, as well as eight Schottky EMF-protection diodes. 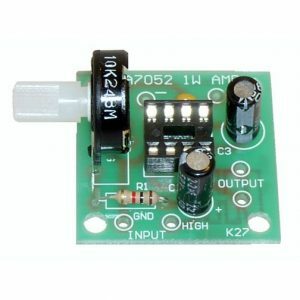 Two high-power current sense resistors are also incorporated which allow monitoring of the current drawn on each motor through your microcontroller. An onboard user-accessible 5V regulator is also incorporated which can also be used to supply any additional circuits requiring a regulated 5V DC supply of up to about 1A. The circuit also offers a bridged mode of operation allowing bidirectional control of a single motor of up to about 4A. 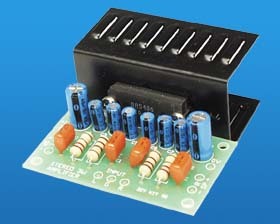 Please see our entire line-up of motor controller circuits and kits.